These number(s) will change 5pm on 8 February 2019 so if you have the lucky number you must show the card to us before 5pm on 8 February 2019 to claim the motorcycle. Alternatively you can claim the motorcycle by phoning us with your details as long as you have pre-registered your card. Full rules of the draw can be found by clicking here. Previous winners, FAQ, rules and how to register your cards can all be found on the main prize draw pages. The winner of our prize draw for £250 of bike kit was especially pleased as his has had a rough ride lately! Jack Smith from Manchester was delighted with his win and said: “Very generous competition, not just for the money but it could be a genuine life saver in this community. 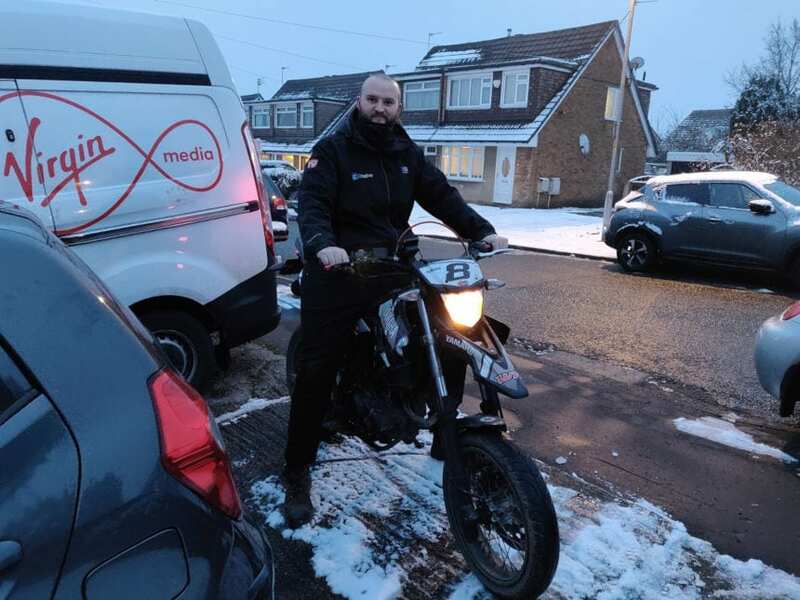 Pictured here with his bike – the team at White Dalton wish him well and of course safe riding. Don’t forget the prize draw is free to enter and is monthly. Have you signed up?